So firstly let me thank Lauren for tagging me – I love being tagged for stuff! And here’s my 8 Photos – really difficult when deciding on some of the wedding photos! I’ve put them in date order starting with the earliest first. 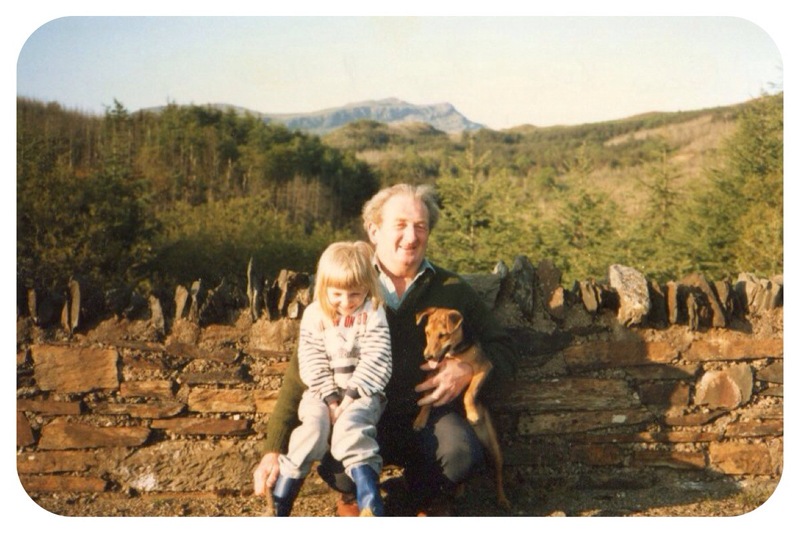 This photo is a typical photo from my childhood – Taid, Jimmy (the dog) and me on one of our walks! Dad is taking the photo. I remember this moment very well. 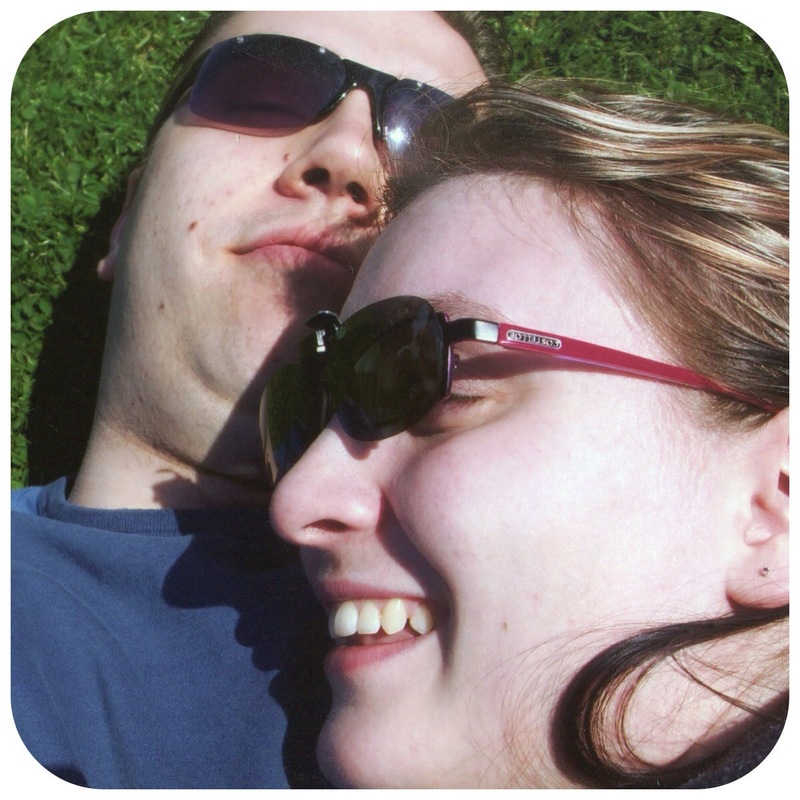 We were lying on the grass in Llandudno during the Victorian Extravaganza. There were children playing nearby and we had just had a conversation about having children. Bear in mind that we hadn’t been dating a month at this point! We were pretty sure we’d end up together forever! 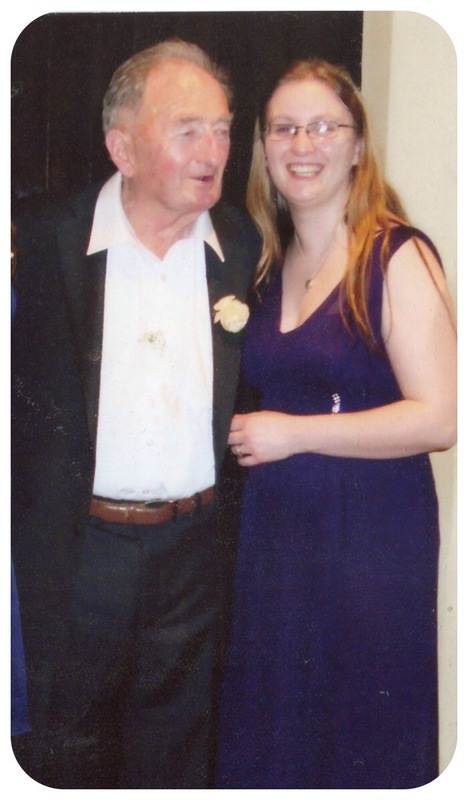 Taid and me at Dad’s wedding in November 2009. Is it wrong that I can’t actually remember the date!?! 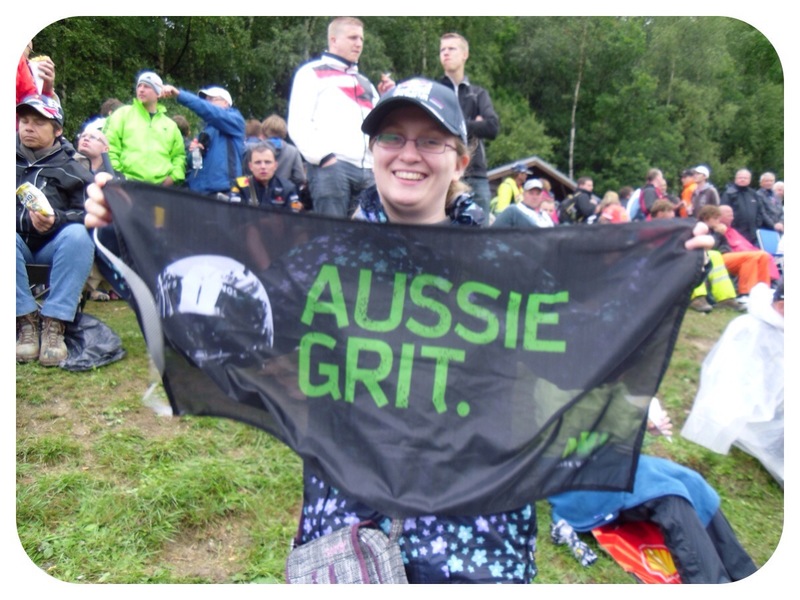 Me with my Aussie Grit (Mark Webber) flag at my first Grand Prix!! I don’t know the date of this photo but I know it was before Little Miss was born. This was our little family unit before she arrived. 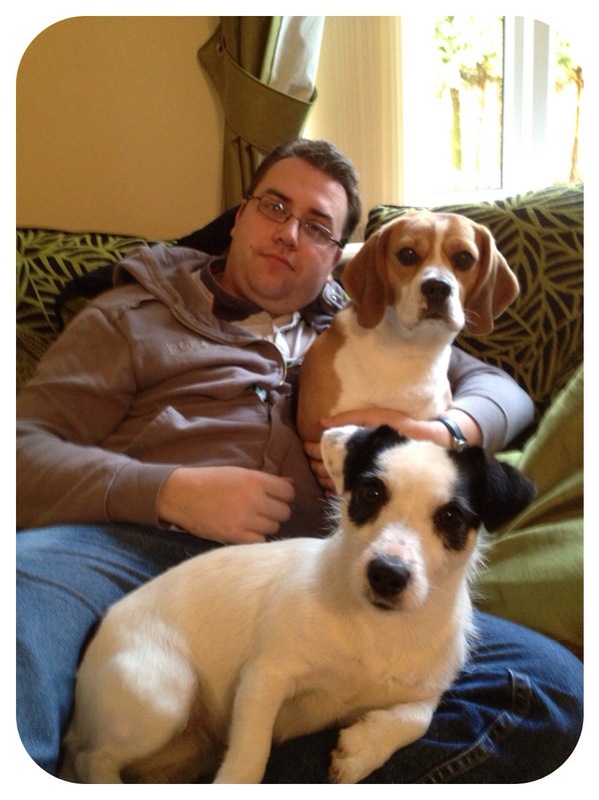 I still love this photo – the dogs are behaving!! 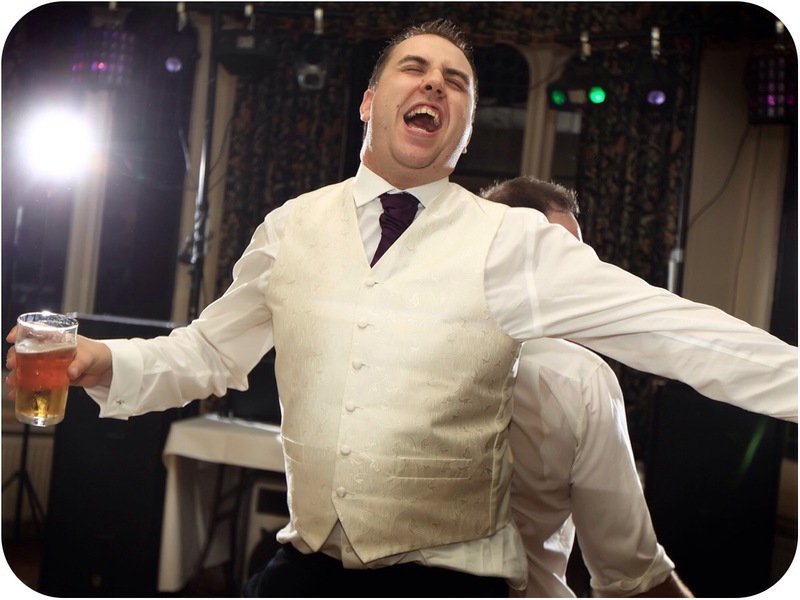 This is one of my favourite photos of our wedding day – it’s hubby singing his heart out to some cheesy music and having a great time dancing! Always makes me smile this one. I couldn’t not post this photo! 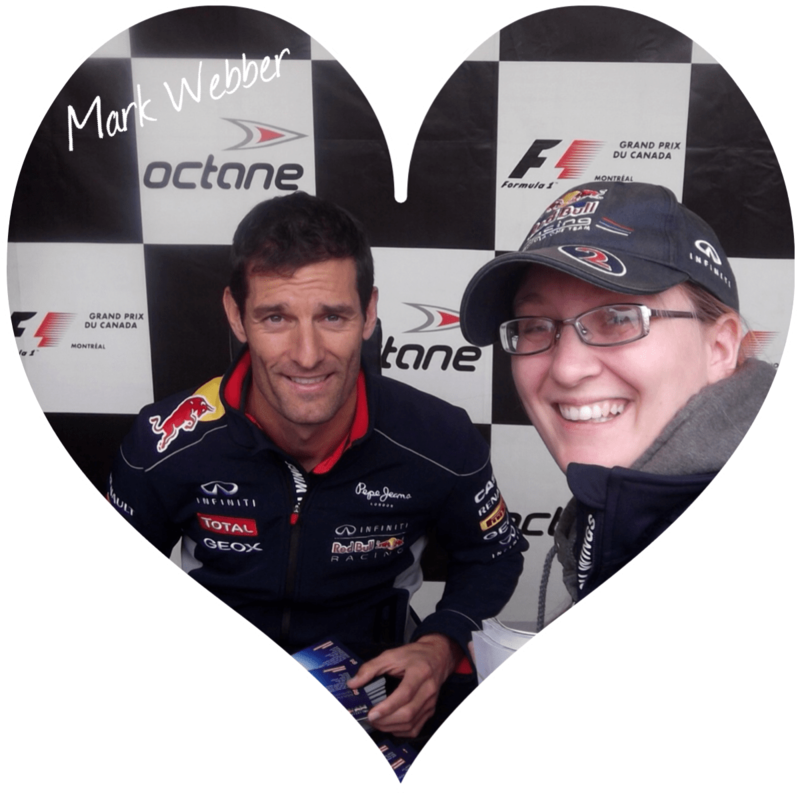 Meeting Mark Webber at the Canadian Grand Prix. 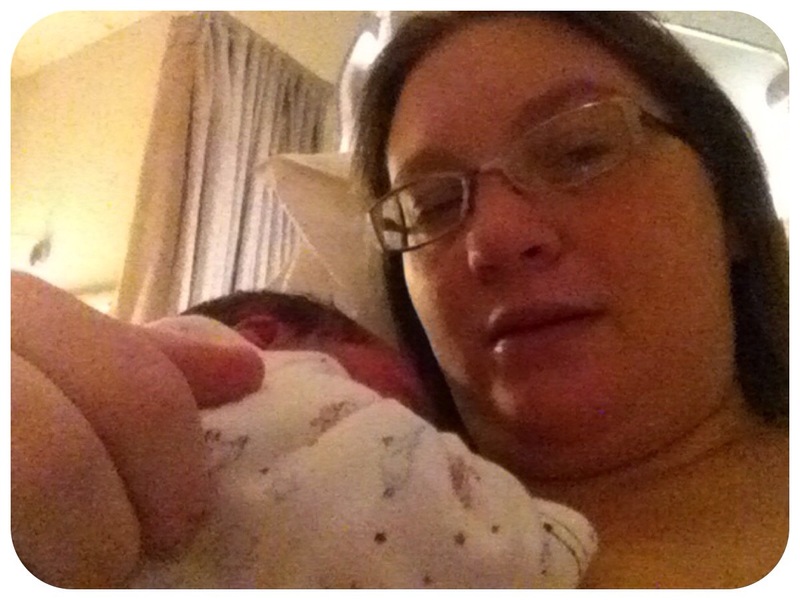 You’ll have to forgive the image quality and the state of me but this was the first selfie I have with Little Miss. One of the happiest moments of my life was giving this one cuddles! Yay can’t wait! I actually love this tag because it’s so easy to share happy photos! 🙂 Hubby doesn’t read the blog so he won’t know! And also the Webber photo is actually an old one I’ve yet to revamp! Aw, this is lovely! I love the ones with the dogs and your Little Miss! I love that your photos all involve your family <3 will go work out my own pics right now! Well I think my family makes me happy more than anything! This is such a lovely idea for a post, you’ve made me want to go digging through photos now! Isn’t it just? Please feel free to participate! Those are some very lovely photos! thanks for the tag.